For a long time I wondered what these two expressions meant - sin in the flesh - in the second verse. “For the law of the Spirit of life in Christ Jesus hath made me free from the law of sin and death.” And then what it meant about that God condemned sin in the flesh. In the first place, we know that the physical body does not commit sin. It may be the instrument or weapon that does the thing, but there is no sin in the physical body itself. Sin lies in the will. If you choose to sin, then you can make your body do it. Now according to law there isn’t any sin except it is performed by a physical act. You can think murder as much as you are a mind to - you are not a murderer in the sight of the law because you thought it. If you speak murder, that lays you liable; but the law recognises nothing that has not been translated into conduct, into an act. Now there isn’t any sin in your physical body, there is nothing wrong with your body. Your body is all right. It is you, the hidden man of the heart, that makes the body do things that are unseemly and are wrong. Then what does He mean by sin in the flesh? For a long time that bothered me. I think I have found a key to it in the 11th verse of this chapter, because it is all one argument. He is not talking about the resurrection. He is talking about giving life, healing life, to our physical bodies. Our physical bodies don’t need life unless they are sick, do they? That is the conclusion of the argument of Romans 8:1-11 - that is a progressive single argument. What is he talking about? He is talking about disease and sickness and the sin that is in the flesh is the sin of a broken law in your body. Now sin is breaking the law, some kind of law, and sin in the body is breaking a law of the body. Disease then is disease isn’t it? Make it two words: dis-ease, broken law, wrecked ease, ease that has been destroyed. Ease is health. Dis-ease is sickness. There are three kinds of sickness; sickness in the body, sickness in the soul, and sickness in the spirit. The basic sickness is spirit sickness, I venture this; that if you could be healed in your spirit, every last one of you would be well in your bodies. But the whole problem is cleaning a man up in his spirit. Let me change it to business. If you can become a successful salesman in the spirit, you will put your bodies over. Do you know the place you are whipped first is not in your mind, not in your body. You say, “Oh, my body is so tired.” Your body is tired the moment that the spirit is discouraged. Your body breaks down under it. As long as your spirit is triumphant you are a victor and go right on. A man is defeated only when he is defeated in his spirit. Let a man lose courage - and courage is not a product of the intellect. When he loses courage he is whipped, and the only way to put the man on his feet again is to renew a right spirit within him. That isn’t the Holy Spirit; it is to renew the spirit that has been defeated and conquered, whipped. Healing then is in three planes, isn’t it? Spirit healing, soul healing, body healing. Basically, the sick person that is sick in body has been sick in spirit quite a little while likely, and after awhile it has gotten down into the soul, and passed through that into the body. I can not tell you, brethren, what this truth I am telling you now has meant to my life. I now can trace every physical change in my body to a spiritual condition. My body responds to my spirit. Now beloved, I want to give you something that is of infinite value. Just to illustrate it - I was called to a home to see a man 82 or 83 years of age, day before yesterday. He has been sick now two years. He had blood poisoning in his teeth and it went through his whole body, and when a man is past 80 it is bad you know. I went into his presence with a well spirit, a conquering spirit. Now I didn’t think of this when I went there. When I went back today I saw the effect. I was there with a triumphant, victorious spirit. His spirit caught, the contagion from me. He was whipped. He had sat there in that chair until he was whipped, just defeated. Well, I sat down by his side and began to open the Scriptures, and something in me - this is perfectly Scriptural -out from your inner life, that is, your spirit, that is the inner being - shall flow rivers of living water. Out from my spirit went into his spirit healing for his spirit. I didn’t see it because he is a Scotchman, very reticent, didn’t respond much; but I knew in me that it had gone into him. I knew that. I talked to him a little while and opened the Word, and then prayed for him and left. This afternoon his beautiful, lovely, motherly wife, a woman along in years, called me up and said, “He wants to see you again. He is going to come down to the hotel to see you, because he doesn’t think it is right to ask you to come away up here.” Think of that, will you. I said, “No, I will go up.” When I went into his presence this afternoon I carried into his presence - I discovered it in myself immediately after I left the house that I had carried into his presence health in my own mind, in my spirit. I had carried a dominating, victorious spirit, and that man responded to it. Do you know what happened? Before I left the house I saw the reactions in his physical body. Things had happened in his body. While I sat there and prayed for him his spirit had become adjusted - the spirit in me received its health from the Lord and I communicated something to his spirit and his spirit made contact. Just as you press the button and turn on light, you contact with God’s Spirit, and when it did, healing came down into his body. Why he changed his whole outward demeanour, changed everything about him. I have been defeated, and I am full of defeat, and that corroding defeat has come down over me and I have lost out; I have broken connection. Did you ever see a battery in an auto corroded with something, and it had eaten off the wires, and the starter didn’t move. What is the matter? Something corroded there. You should have kept that clean. Corroding cares come and get in around your spirit life, and it just covers you and breaks your connection with the Lord. This is true. The real first healing is the healing of your spirit, getting your spirit adjusted to the Lord. The spirit is the part that contacts the Lord. If the spirit is out of harmony and out of condition, and is sort of broken down, you can’t get faith for healing, can you? No, you must become adjusted to the Lord. I said to a young man a little while ago, he was in a desperate condition - required a first-class miracle to touch his life at all, I sat by his side and I said, “If you will accept Jesus Christ as your Saviour and confess Him as your lord, and you receive eternal life, you are healed.” He said, “What do you mean?” I said, “Just the moment you are born again you are healed.” I have never been afraid to promise that to any unsaved person. Why I didn’t know that for years. Now I can tell you, the simplest thing in the world, the moment they are born again, eternal life comes into their spirit. That spirit then can come into the closest relationship with the Father, the great Healer, and the life of God then pours down into his spirit, and soul, into his body, and he is immediately touched and made whole. You can not get healing for the body, as far as you are personally concerned -somebody else’s faith may, but until your spirit is right you can not get healing for your body. May I call your attention to another thing? Faith is a product of your spirit, not of your intellect. Your intellect does not produce faith. Your knowledge may give you ground for faith, but faith is resident in your spirit. Joy is something in your spirit. Happiness is something connected with your surroundings. You are happy because of your surroundings. You are joyful because you are in right relation with the Father. Now faith, love, joy, hope, all spring from your spirit being, the hidden man of the heart, all are products of your spiritual life. The reason people do not have rich beautiful faith is because their spirit is denied the privilege of communion and fellowship with the Father. You understand me? You don’t read your Bible; you don’t pour over it; you don’t live in it; you don’t spend any time in fellowship with the Father. Consequently your spirit is depleted and weakened. Faith springs out of it, and the faith that grows out of it is a sickly plant. On the other hand, your spirit life is fruitified and built up and enriched by communion with the Father and by reading His Word. And your spirit becomes strong and vigorous, there issues from it a faith that is triumphant and creative. I venture to say this; that the men and women who are weak in faith, that once were mighty in faith, are so because they have stopped feeding on the Word of God, and stopped close intimate fellowship with the Father. Let me say to you with all frankness, brother, that you can not lose your faith until you have broken your fellowship. Just as long as your fellowship is rich and your spiritual life is at flood tide, faith is triumphant. I have followed that in my own life. For years I did not understand the law that governs it. I see it now. You see here is the thing that is mightily important, that the spirit life in man kept healthy and vigorous, and it is kept healthy and vigorous by three exercises. There are more ways, but three in particular. One is feeding on the Word. Second, is a CONTINUAL PUBLIC CONFESSION of what you are and what Jesus is to you. I am not talking of sin; I mean confession of your faith in Christ, of what Christ is to you, of His fullness, His completeness, and His redemption. And the third thing is COMMUNION WITH HIM. Feeding on the Word, Confession, and Communion. Three simple things, aren’t they? And yet they are the things that produce great spiritual life. You do not have it without them. There are three planes of healing: spiritual, mental and physical. Now just for a bit I want to call your attention to another very important fact - the relation of your body to your spiritual life. Paul said, in the 9th chapter of 1st Corinthians, that he kept his body under, lest haply after he preached to others, he himself would be laid aside - not lost, but laid aside, no longer useable, Why? Because his body had gained the ascendancy over his spiritual life. If you become a glutton, and just live to gratify your appetite by eating and drinking - you will lose out spiritually. But if you will keep your appetite under control and your body under like Paul says he did, your spirit will have a chance to evidence itself. Now let me state it again. You may be a great spiritual athlete, you may have been a great spiritual athlete, but somewhere you have stopped feeding on the Word. The Word lost its taste and flavour for you. You say, “How can it be?” It is. I know of preacher after preacher that had great power at one time, but they have lost all joy in the Scripture. How do I know? Well, I know by the way they act. When a man loves a woman, he wants her with him, doesn’t he? He doesn’t care to go off and spend evenings alone. And when a man loves his Bible you will find the Bible with him, in his arms, somewhere. He has gotten hold of the thing. He is holding it. When I find a man along in years and his hair is growing grey, and I find he loves his Bible, I know that man is fresh in his spirit life. One of the mightiest men I ever fellowshipped with in my life in prayer, when he and I would be together in prayer, sometime’s I would open my eyes and look at him, and he would be on his knees with his Bible and kissing it. Didn’t want anyone to see him. Thought my eyes were closed. He was holding it just as a man holds his wife in his arms and kisses and embraces her, kisses and loves her. Whenever I reach a place where I lose my appetite for the Book, and rather talk with people than read the Bible, or rather read books about the Bible than to read the Bible, then I know I am backslidden in my spirit. Brother, you will brag about your own life if you have power with God, and you can’t help this bragging; you have something to brag about. You really have. You walk in the fullness of the life and fellowship of your spirit with His Spirit, and you have something to talk about, haven’t you? Fresh new experiences are coming into you all the time. You are walking in the realm of miracles. I knew that man when he walked in the creative realm of faith. I knew him when he moved down into the purely intellectual realm. Healing is basically a spiritual thing. The power that heals the sick comes down from God through your spirit, out through your hands into that man or woman. And if you are having the right kind of spiritual fellowship you will have power with God, and there is no escaping it. But listen, brother, you can’t get a powerful current of divine life from a little impoverished wire, can you? And you can’t get it when the wire where it connects with you is corroded with world cares. Now we call in the electrician and say to him, “I want you .to wire my spirit up with God. I want fresh equipment all the way through.” Hallelujah. You say, I will tell you what I want. I want to be able to stand about 10,000 volts. I want to be wired up to God so that the fullness of His power can pour down through me, through my soul, and out through my hands and voice to the people. How does that come to you? Simplest thing in the world. Your spirit interlocks with His Spirit without any foreign substance intervening. One day my Reo car stopped right in traffic. A young lady sat with Mrs Lake and she said, “Let me try it.” She worked the accelerator and it wouldn’t work. She said, “Wait a moment.” I jumped out of the car and I raised the hood. She said, “I can tell you where it is.” She just opened up the distributor, and she said, “One of those points has got a fleck of dirt on it.” She brushed it off with her handkerchief and put it on again. The car started right off. That point of the distributor had some little dust, something under it, some little corroding some way that just broke the current and it was a delicate little thing, it didn’t take much. It doesn’t take much to break the connection of your spirit and His. God is a Spirit. You are a spirit. And something breaks the connection and the power no longer flows through. You say you want me to pray for you and I pray for you. There is no power. What is the matter? Something has broken the connection. The power comes down through the one who prays, but it can’t get through your spirit and touch you. Or, there may be something in my spirit, and His Spirit wants to communicate with your spirit, but is hindered by something in my spirit. But suppose you and I are both right in our spirits.. You will get your healing as sure as God sits on His throne. “And if the Spirit of Him that raised up Jesus from the dead dwell in you, He that raised up Jesus Christ from the dead” shall send healing through your spirit into your mortal flesh as sure as God is on His throne. The second thing that must be done continually is, after you have fed on the Word, and your spirit is open to the truth of confession you can’t bottle God up. You can’t lock Him up. It has been God’s method throughout all the ages to speak to people through those that are in right relation with Himself, and when you are in right relation with Him, the most normal and natural thing is, that He will use you to communicate Himself to others, and so you act as the medium through which He is to pour His message, by song or by testimony or by prayer or by some other means; but you are His medium, you are His testifier; you are His spokesman, you are His instrument through which He is going to work. Beautiful, isn’t it? Now you see that keeps you in perfect communion, because you have to continually get new messages all the time form Him, so you live in perfect fellowship with Him, feeding on His Word, and telling out the things He does for you. And no Christian is safe that hasn’t a MOW experience with the Lord, because sickness can come on you and you have no power to throw it off. You have your NOW experience in your spirit, and you are continually in contact, and the spiritual power is coming down and going back and forth continually. Things are coming down and things are going up, from Him to you and you to Him, down through your spirit. You have a beautiful picture. Angels ascending and descending. It is the thoughts of God coming down and your thoughts going back. He feeding on you, and you feeding on Him. Now the relation of your body to your spiritual life is almost an unexplored tableland of possibilities. In Romans 6:12, Paul says, “Let not sin therefore reign as God in your death doomed body.” Let not sin reign. What is sin? It is disease. He is not talking about sin, because if there is any sin in you it is not in your body. If there is any sin, it is in your spirit or in your soul, isn’t it? It is somewhere active in your thinking processes. But he says, “Let not sin reign as God in that death doomed body.” Sin is a broken physical law in your body; that is sickness. I have a boil, and that boil gains the dominion and runs my body, my mind and my spirit, and all I do is to nurse that miserable, throbbing, aching enemy that is in there raising the devil. That is sin in my flesh, and sin has been condemned in the flesh. God condemned the thing, and now sin has broken out in there. What is rheumatism? Sin in the flesh. And sin shall not have dominion over you, in your body for you are no longer under law, but under grace, when your body has become the temple of God. Know ye not your body has become a member of Christ? Shall a member of Christ be made the member of a harlot? That does not necessarily mean a woman who is a harlot as we commonly use the word. It may be money, it may be gluttony, it may be a thousand things; but I have taken my body away from the Lord and the Lord’s use, and I have committed it to some other use that should not be. “Let not sin reign in your mortal body as king.” Hallelujah. “Neither present your members as weapons of unrighteousness.” You turn your body over to be used by doctors to make money out of and surgeons chop you up for a splendid fee. A woman said to me recently, “My daughter has determined that she will have an operation.” I said, “What is the matter with her?” “The doctor doesn’t know, but he thinks he ought to explore in there.” Did you ever hear of it? And so he is going to cut her open and send in a Livingston in there to explore. Great, isn’t it? Then the daughter will go, after she is all wrecked and ruined and she can’t get any healing, then she will turn to the lord. Then she will expect to get her healing without asking the Lord’s forgiveness for turning her body over to some man for examination and experimentation. “Know ye not that your body is the temple of God?” Shall I take the temple of God, then, and turn it over to idols and to demons? That body of yours is God’s holy house, God’s holy dwelling place. Why, it is the most sacred thing on earth. Now, the temple that God designed and gave to Israel in the wilderness, contained the Holy of Holies, the inner place, didn’t it? And in that temple that Solomon was permitted to build for God was the Holy of Holies, for the Shekinah Presence dwelt there. The Shekinah Presence now dwells in your body. Can you imagine, brethren, here a beautiful church which cost half a million dollars. Everything is in perfect harmony. Wonderful carpets and rugs, wonderful furniture, wonderful decorations and the most up-to-date lighting scheme, everything is perfectly beautiful and artistic. It is just a dream of architectural beauty. They dedicate it to the Lord and go home. They dedicate it on Saturday. Sunday they are going to hold their first services in it, and when they open the door they make the most awful discovery - a horrible stench rushes out to meet them. What has happened? I will tell you. A sacrilegious man opened the door last night and drove a herd of hogs into the sanctuary, and the hogs have been staying in the beautiful edifice during the night. That is just what we do with these bodies of ours. We have dedicated them to God; and then we let a flock of unclean thoughts come in, and we let disease come in and settle in our bodies until these precious bodies that belong to God are filled with the children of these unclean things. Tuberculosis is the child of a thought; it is the product of a mental and spiritual condition. That is true, that when we are in right communion and fellowship with the Lord there is not power enough in all hell to put disease upon your little finger. And we have permitted that flock of that dirty, develish herd of swine to come into our bodies and fill them with disease. 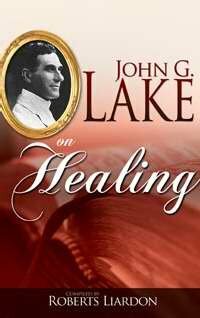 Now brethren if God is able to heal to the uttermost, then there are no healings that are impossible, are there? Absolutely none. It doesn’t make any difference how sick you are, there is healing for you if you are in contact with the Healer. I don’t care how beautiful your fixtures are, if out side there, there is one of the fuses blown out, you won’t get any light.. And the fuse that lets the light of God into you is your spirit, and if that thing is diseased and weak and sickly, you can’t get much of a current through it, can you? A man had a vision. He saw a strange sight. He saw a piece of desert land and sickly flowers and trees growing on it. And he awakened and the picture persisted in following him. The next night he had the same picture come before him again, and it persisted for three nights, and then he said, “Lord, what is this?” And a voice answered, “Don’t you know what it is?” And he said, “No, Lord, I don’t know that I do.” He sat looking carefully at it again, and he could see it, oh, so vividly. He said, “Lord, that is me, myself.” And he said, “That desert is myself.” And he said, “I can see that faith and love and peace and joy that should grow there are those weak sickly plants. The Lord said, “What would you do if your garden was like that?” He said, “I’d hoe it and cultivate it and irrigate it.” And the Lord left him to think it over. Now if your faith is weak and sickly, it is because your spiritual connection with the Lord is faulty. Maybe there is a fuse blown. Maybe a switch is out. But there it is. Now there must be a right adjustment of the soul to the body, and of soul and body and spirit. Now I am a threefold being, if I want to put it that way. To get the highest results my spirit must be dominant. My soul must be subservient to my spirit. My body must be under the control of my soul. Then when my body and soul and spirit are in rapport, when they are in perfect fellowship with each other, they can bring forth real results, can’t they? “Know ye not that your body is the temple of God? Now when that comes to pass, then there comes two spirits. There are two spirits in your body now, there was one before. It was a renewed spirit, then the great mighty Holy Spirit came in. Now you have two spirits in your body, and one soul. 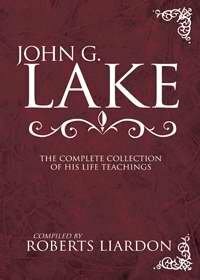 Now the Holy Spirit wants to dominate your spirit, and He wants through your spirit to communicate the unveilings of the Father through the Word to your intellect and bring your intellect and your affections up into perfect harmony with His will, and you yield yourself to Him, and you pour over the Book and take it as your own. You read it, you feed upon it, you eat it; more necessary than your daily food. “Man shall not live by bread alone, but by every word” - and you pour over the Word and you meditate on it, and you get at the heart of the thing, and your spiritual nature grows and develops until it dominates your intellect. But you just read intellectual things, read novels, and cheap stories, and your sickly intellect will absolutely dominate your whole life and break your communion with the Lord and leave your spirit life in darkness. The way to health is back again to where we belong, isn’t it? I venture this: that it is possible to re-build your spiritual life, as you can re-build a broken body. I have told you how many of the great athletes grow strong. One of them I met years ago given up to die of tuberculosis, Another of the great athletes, one of the great wrestlers, was given over to die of tuberculosis at 18. He became one of the outstanding wrestlers in America. What a man can do in his physical body he can do in his spirit, can be done with his intellect. There is absolutely no reason why our spiritual life should not be up to 100% efficiency. Another man says, “I will tell you what ails me.” He said, “I will illustrate it, My little boy used to take his money to buy his lunch at the school. Instead of buying lunch, he bought candy and cheap soda water to drink, and he ate pie and cake and ate candy until by and by they found out.” The man said, “I found out he would not eat meat, and he wouldn’t eat vegetables, and we thought there was something desperately wrong with him, and there was. So we just put a spy on his track and we found out he was buying candy and eating it.” Aha. Now if your spirit has reached the place Where it has no appetite for the things of God, you have been playing hookey. You have been feeding on things that you ought not to eat, and you have compelled your poor spirit to feed on trash and cheap scandal and cheap talk and useless talk, wise cracking and everything, and you have never given your spirit any real healthy food for a long time, and the poor thing is dying of hunger. Do you understand me now? You can’t get your healing until you get your spiritual healing. If you get your healing, you will get it through the doctor’s faith, don’t you see? And you will lose it again. But if you get it through your own spirit being in perfect fellowship with the Lord, and somebody praying for you likely, or you praying for your self, or else nobody praying for you, you will be able to keep it. The Doctor told of an experience he had down in Texas where a whole congregation had come, practically all of them for healing, and he said, “You just sit here and listen to me preach, and I won’t pray for you at all.” He said the largest percentage of that congregation were perfectly healed in just a little while. They came every day for 30 days. At the end of the 30 days there was only about 7% of the whole congregation that was not healed. All they did was get spiritually healed, and when you get spiritually healed, the chances are a hundred to one you will be healed physically. And I want to tell you this, I don’t want to hurt your feelings, God bless you, but brother, do you know I have discovered this - there are quite a number of folks that come to be prayed for, and they are healed over and over again. The healing you want is not physical but spiritual. You get right, and get adjusted so you are feeding on the Word, and so you are giving public testimony, and you will be well or in a condition to get well.